Paramount Pictures Australia found itself in some hot water today, when its official https://twitter.com/ParamountAU/|Twitter account released a poster for the upcoming Teenage Mutant Ninja Turtles. 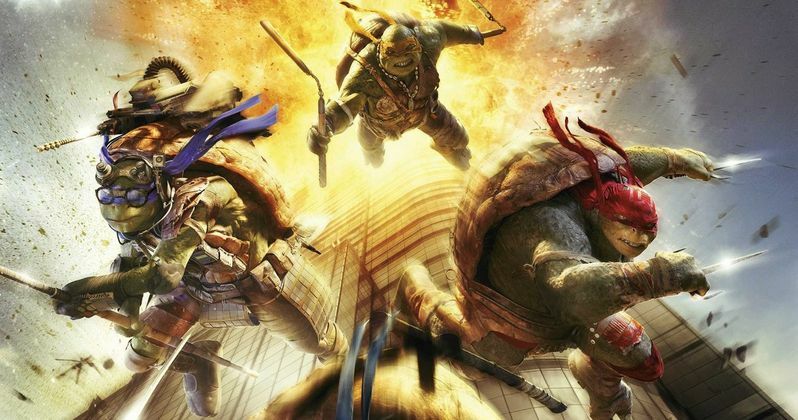 The image is essentially the same /brothers-explode-into-action-in-new-teenage-mutant-ninja-turtles-international-poster/international one-sheet released earlier this month, featuring the four main characters leaping from an exploding building, although this version raised a number of red flags when the image was paired with the Australian release date, September 11. Paramount Australia quickly deleted the tweet, but you can take a look at the image below, then read on for more information. Since the movie is set in New York City, it didn't take long for a number of fans to express their displeasure towards the poster on Twitter, as you can see below. The tweet with the poster has since been removed from Paramount Australia's Twitter and Facebook pages. The studio also issued a statement to Buzzfeed, apologizing for their actions. "We are deeply sorry to have used that artwork for the marketing materials promoting the September 11 opening in Australia. Combining that image and date was a mistake. We intended no offense and have taken immediate action to discontinue its use." Teenage Mutant Ninja Turtles hits theaters in the U.S. on August 8. Chime in with your thoughts on this controversy below.